As SEO community knows that Google is doing changes rapidly as others can’t do similar like them. Once again Google Adwords has changed their conversion report metric, now they have quickly added extra conversion reporting choices to the campaigns reporting section. 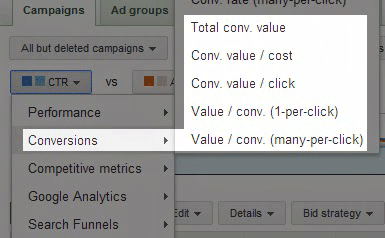 What metric Google Adwords has added in report section? they have added five fresh metrics in report part. The following are the five Google Adwords metrics in report section which you like most as compared to previous metrics.